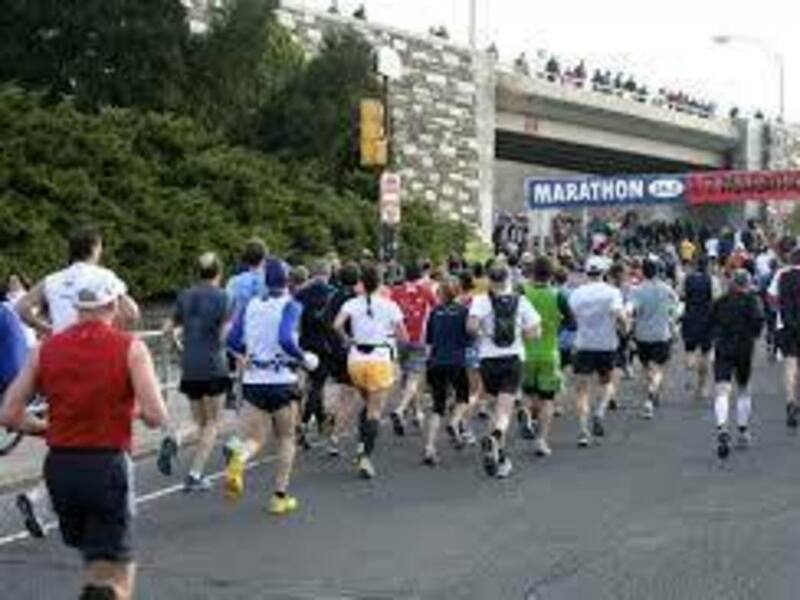 Energetic crowds, an historic course, and ideal (usually) running temperatures, make the Philadelphia Marathon a runner's dream. These 10 tips for running the Philadelphia Marathon—many learned the hard way from a three-time race veteran—will ensure you have a race and weekend to remember. The fun begins at 7am on November 22. If you're from out of town, you may be tempted to hit Pat's or Genos for a famous Philly Cheesesteak "whiz wit" (pro tip: go to Jim's on South Street instead). But hold off until post-race. Nothing can ruin race day more than a greasy, cheesy, albeit delicious, meal the day before. As tempting as it might be to indulge in Philly's epic foodie scene, stick to normal pre-race foods, and indulge post-race. This one seems like a no-brainer, but enhanced security checkpoints add time to the pre-race routine. Plan to arrive at the starting line at least an hour before the race, which means a 6:00am arrival, at the latest. Early arrival gives more time for port-a-potty lines and gear check-in, and less stress pre-race. 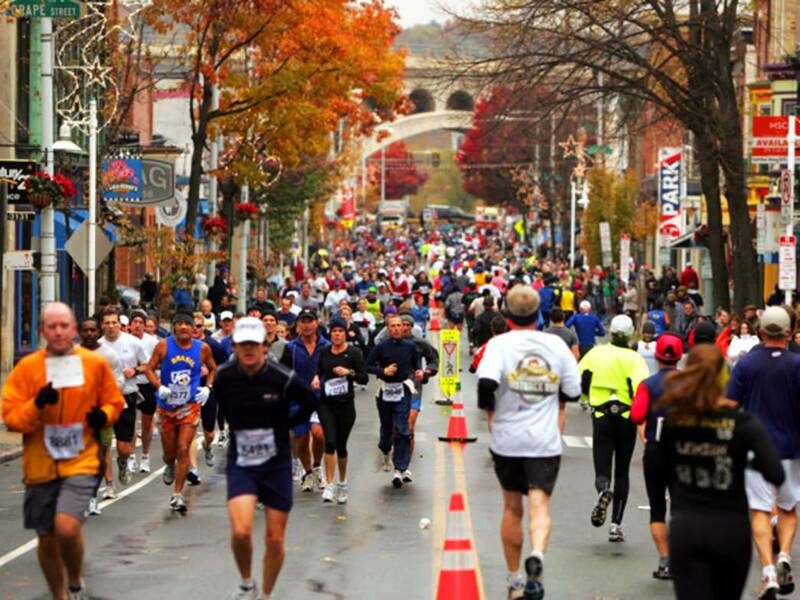 The first six miles of the Philadelphia Marathon are some of the most exciting of the race. There are thousands of cheering spectators, you'll pass by some of the city's most historic sites, and the streets are crowded and energetic. It's easy to get swept up in the adrenaline rush, but keep the pace slow in the beginning and you'll thank yourself in the later miles. 4. Watch out for cobblestones! 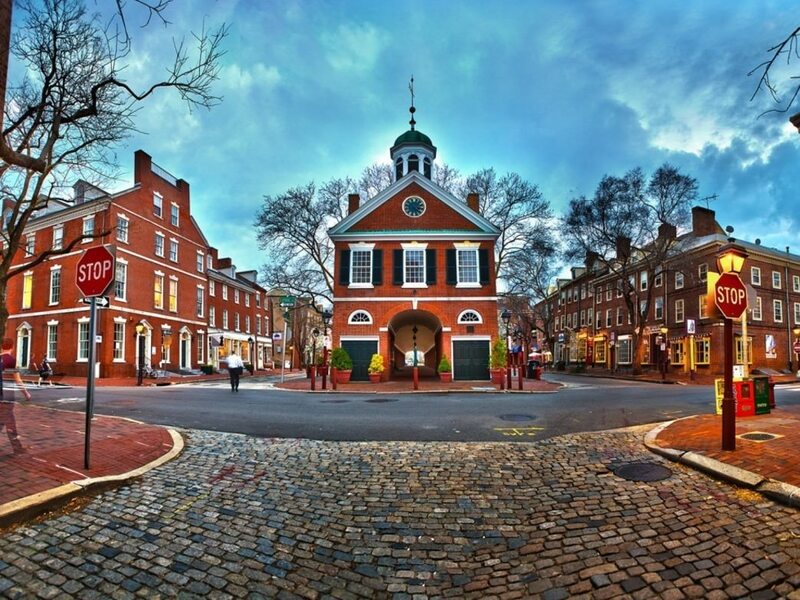 Between miles four and five, be prepared to navigate some quintessential 18th century cobblestones. They aren't too intrusive, just lift your feet and pay attention, and you'll make it through unscathed. 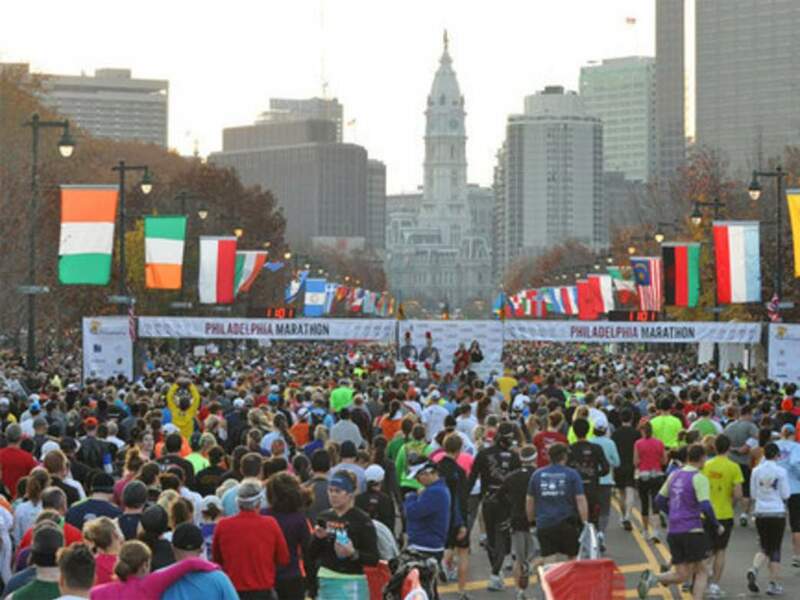 Ask anyone and they'll tell you Philly is a flat course, which it is for about 95% of the race. But, there are two major hills, one between miles seven and eight in West Philly, and another one around mile nine. The nice thing is, after these two big hills, there is very little elevation gain for the rest of the race. One of the best and worst parts about running the Philly Marathon is that the 26.2 and 13.1 run concurrently until the finish line of the half marathon. So, if you're having a really bad day or are injured, it's convenient to have the choice to drop at the half. However, it's also somewhat discouraging to see other runners finishing (and celebrating!) while you still have 13.1 miles to go. Don't give in to the temptation to drop; the most beautiful miles of the course are yet to come. The back 13.1 miles of the race are out and back, so chances are, you'll witness the elite marathoners coming back down Kelly Drive to finish the race as you start the second half. This can be one of the most uplifting points in the race, as you witness some of the fastest runners in the country whiz by running sub-5 minute miles. Cheer them on and get an adrenaline boost at the same time. 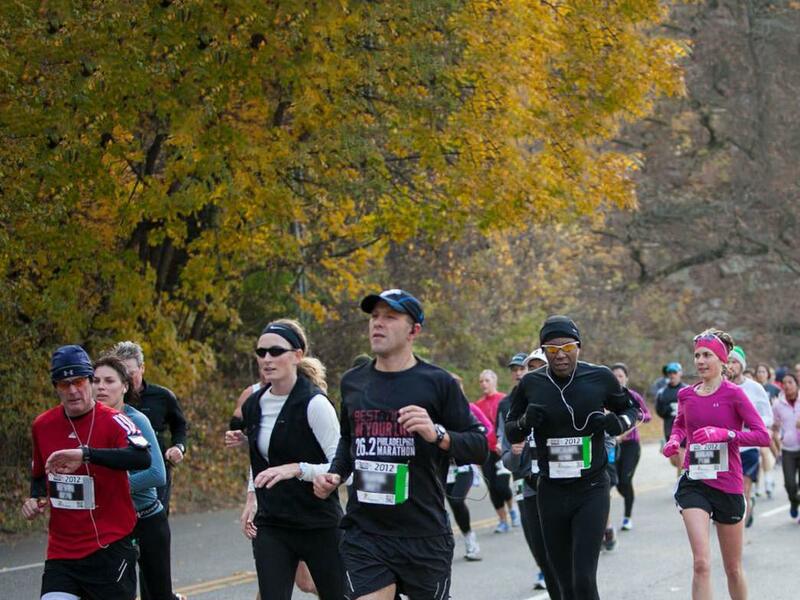 Miles 18-21 are some of the most fun miles of the race. Here you'll enter Manayunk (spectators can grab a bite to eat too) and make the turn for the final 10k. This part of the city is known for its large population of post-grads, so don't be surprised when you're offered cups of beer along the course. If you're feeling hydrated, take a sip! 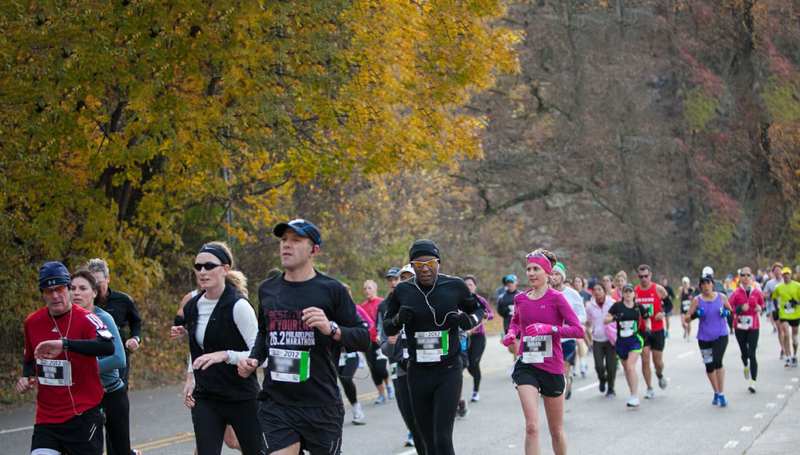 Speaking from experience, you might just find yourself with a surprise PR for your race. If you ask anyone who's run Philly, they'll tell you the back miles down Kelly Drive are the hardest on the course. While these flat miles running along the Schuylkill River are gorgeous on the way out, they are more difficult on the way back due to the distinct lack of crowds and energy. Take this opportunity to push through, and perhaps turn on some music on your headphones. The finish line is near! 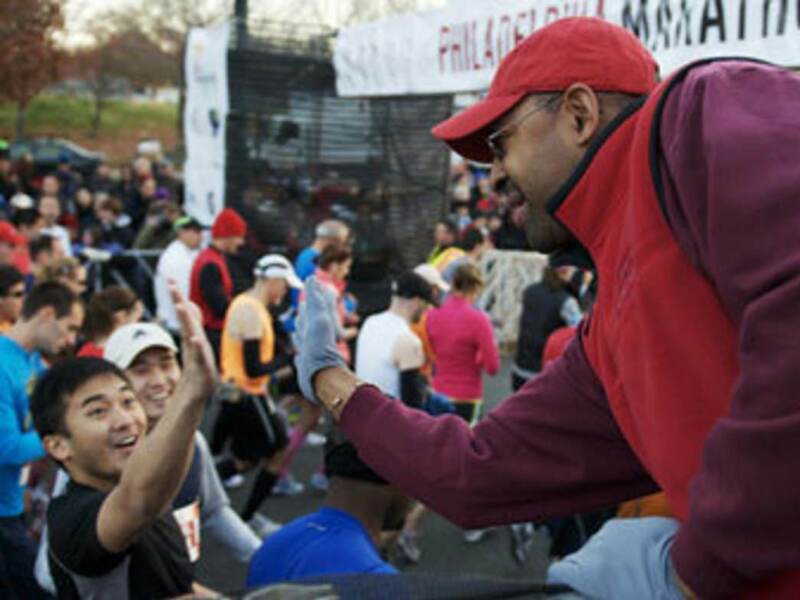 One of the most iconic traditions of the Philly Marathon is that every runner has the chance to high five Mayor Nutter at the finish line. There's no better way to finish out a strong race than to slap hands with one of the city's most revered mayors!